Friends, family and admirers of education advocate Marie K. Williams celebrated her life and legacy during a memorial service in her Mount Vernon hometown, Saturday, March 17, at Macedonia Baptist Church. Senior pastor of Macedonia Baptist Church, the Rev. Dr. Darren M. Morton, officiated the service. 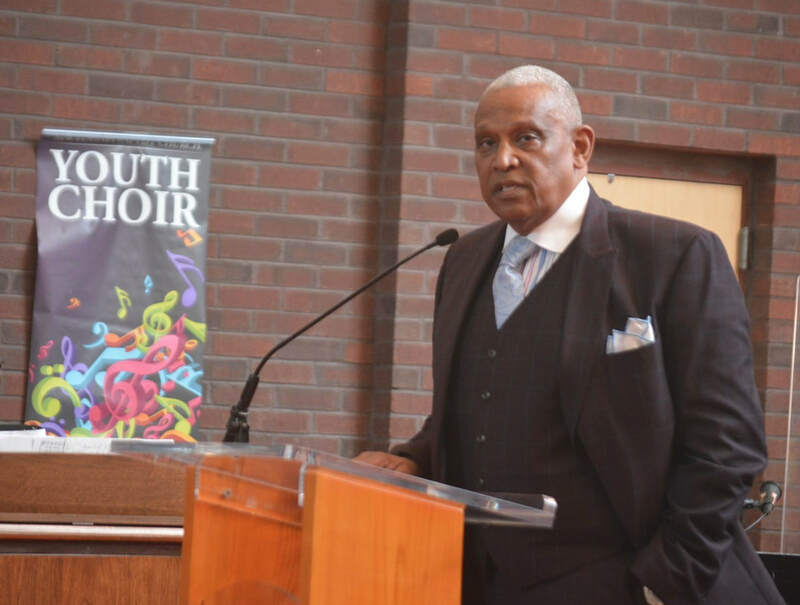 Some of the guest speakers included Joe Parisi, publisher of the Mount Vernon Inquirer, former Mount Vernon mayor Clinton Young, Linda Nigro and many others. At a young age Williams realized the importance of acquiring an education. She would walk for miles to and from school each day through rain, snow and heat to attend school. May 23, 1950, Williams became the first of her siblings to earn a high school diploma after graduating from John Hawkins. In the early 1950s, Williams moved to Westchester County, N.Y., where she met and married the late Charles Williams. The couple raised their two daughters,Terrie M. Williams and Yolanda Williams, in the city the couple loved and called home, Mount Vernon. As a Mount Vernon resident and school advocate she worked tirelessly with the community to foster and maintain a positive image of the school system. Williams was an avid reader, a warrior who fought alongside parents to demand that their children receive a quality education. She was active in the local, county and state PTA organizations and served in numerous official capacities. Her sensitivity and warmth, her willingness to help others and her ability to relate to all the residents left an indelible legacy in the City of Mount Vernon. Williams is survived by daughters Terrie M. Williams and Yolanda (Thomas) Johnson; her sister, Josephine (Lee) Floyd, grandson Rocky Ephraim, numerous nieces and nephews and a host of lifelong friends.